A Hollywood agent is found dead in her bathtub and the initial report is that it’s accidental. But when Carol Childs, a reporter for a local radio station, learns that there was another death under very similar circumstances, she grows suspicious. When the death is ruled a homicide and Carol’s friend and neighbor is the prime suspect, Ms. Childs is convinced her friend couldn’t have done it and works to uncover the truth, while also working her way up the ladder at the station with her insider scoops. More members from the agency wind up dead and in true Hollywood fashion, a psychic guides Carol to seeking out the truth. There are some wonderful characters here and author Nancy Cole Silverman does a very nice job identifying the variety of Hollywood ‘types’ without being too stereotypical but managing to make them identifiable. The plot, however, is rather weak. Perhaps it’s a problem with the genre… we KNOW it’s not going to be the person the police suspect, especially if the primary character believes the suspect is innocent. But we kept coming back to this ‘red herring’ (which wasn’t much of a misdirection) with a ‘maybe it IS her’ attitude in the story — all because of some pretty flimsy circumstantial evidence. Where author Silverman shines is in the characters and attitudes of the Hollywood residents. Clearly she’s spent some time in the area and been observant — this was very nice. But for someone who has spent time interviewing and observing people, she doesn’t write very natural sounding dialog. When speaking, the characters come across as stiff and unnatural and their dialog is used to do a lot of ‘telling’ of information to the reader, rather than allowing us to ‘see’ what is happening (what’s the rule of writing…”show, don’t tell”?). About two-thirds of the way through the book, I realized how far I was in to the story and I wondered, “Why am I not enjoying this more?” I mostly enjoyed the characters and while I didn’t bite on the initial suspect, I was curious enough to wonder who the culprit was. That’s when I realized that no one spoke very realistically and therefore I never bought in to them as real. The ending (such as it was … the door is open to a direct sequel) was not particularly satisfying, nor was the explanation as to why the murderer committed these particular killings. In fact, I think I audibly groaned when it was revealed — and not a good, pun-induced groan, but an “oh, you can’t be serious” sort of groan. This was a relatively quick and easy read, but I prefer my mysteries to have a little more bite to them. Looking for a good book? 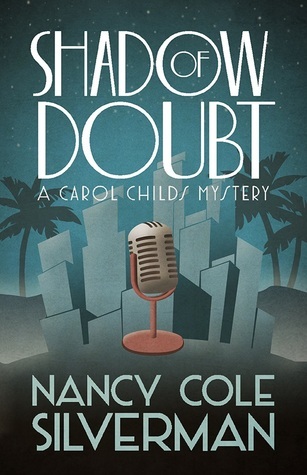 There are a lot of mystery books on the market and Nancy Cole Silverman’s Shadow of Doubt one doesn’t rise above the crowded field.